UPDATE 10/5/2018: From 0.7 and onward, FT8Call will be called JS8Call and the FT8CALL mode will become JS8 (Jordan Sherer-designed 8-FSK). It’s in the beginning stages so it’s a little difficult finding the download link. You’ll have to join the Groups.io Forum. You can find it here. FT8Call is available for Windows, Linux and Raspberry Pi at this time and will be available for the MacOS at a later date. Setting it up for the Icom 7300 and Icom 7610 is a breeze. Use something for time sync. I use NetTime. Here’s a nice video I did last week. It covers the download and installation on Windows. It’s a little tricky at first, but a very simple program. I like the simple interface. It’s very familar since I have been using WSJT-X. Unlike FT8, this new mode requires user intervention. Read and understand those and you’ll be in good shape. Here’s a nice little quick start guide and making a QSO. A big thanks to subscribers and everyone who posts questions, comments and sends emails to me with ideas and suggestions. 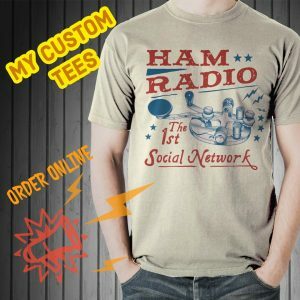 I sincerely appreciate it and hope this website helps Ham operators. If you have a question please comment below. I will do my best to answer it and your experience will undoubtedly help others as well. Hi Rich. Does FT8call work with windows 7 or only windows 10? Nice to hear from you and good question. I only see on the website Windows 10 supported. You could try on Win7. Thank you for commenting here and thanks for posting your question. Best 73! How’s it going? No I haven’t. Another Ham OH8STN uses a GPS device with his RaspberryPi and FT8. When I go camping and don’t have Internet access to sync FT8 is still good for quite some time. JS8Call actually has a manual sync. In the JS8Call menu, click on Window>Show Time Drift Controls. You’ll see the buttons at the bottom after doing that. Have you experimented with using GPS for your time settings when portable? So far I have just used cell data for my time. There is a MacOS version now. I’m using it and it works well! Awesome Steve and thank you. I’ll be glad to try it out when the MacOS version comes out. I’ve given up on ft8 because there’s little operator involvement and it never seemed like a “real” QSO. Nice to hear from you and I know what you’re saying about FT8. I kinda like FT8Call and the ability to send short messages. It sees to be good in even poor conditions. I don’t lose anything. I’m looking forward to the MacOS too.